When do your best ideas come to you? After a few days away from the bench, this simple, elegant, yet a little bold design popped into the forefront of my mind. 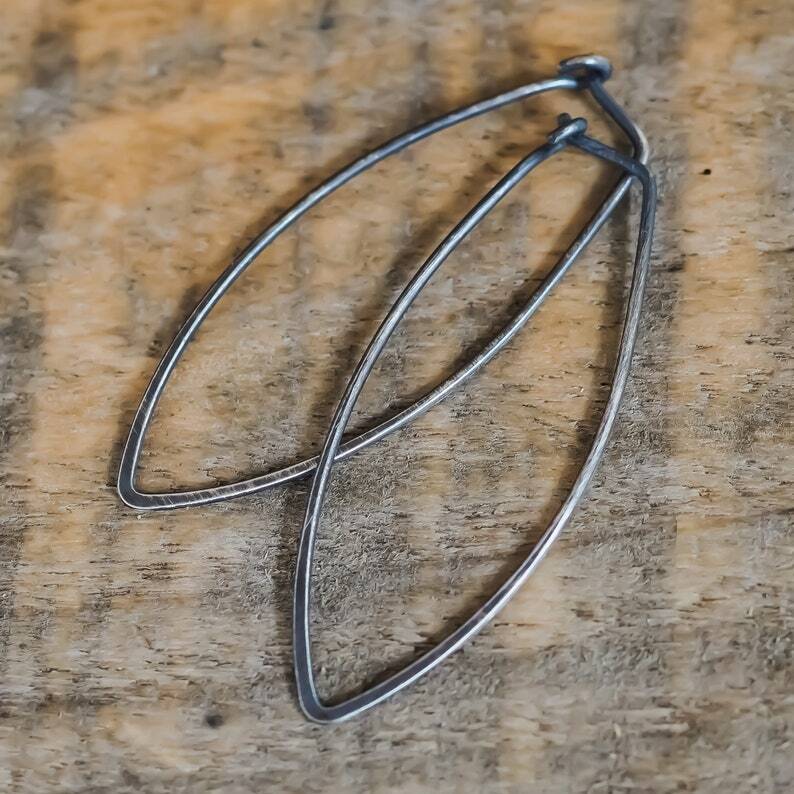 Living among towering Karri forests, I'm pretty excited about these leaf shape hoop earrings. Hammered and textured just enough for a unique, handcrafted finish, measuring 40mm (1 9/16") in length and 16mm (5/8") wide, these earrings are oxidised, then rubbed back to create a unique rustic finish. These handmade earrings are created in a pleasing, elegant leaf shape. They are bold, yet light and comfortable to wear all day long.